Allison R. Day specializes in all areas of bankruptcy, business reorganization, and creditors' rights. She has handled numerous Chapter 11 reorganizations and liquidations on behalf of debtors, creditors, creditor committees and trustees. Additionally, she has represented debtors, trustees and creditors in bankruptcies under Chapters 7 and 13, including the former Standing Chapter 13 Trustee for the Southern District of Florida. She also specializes in the representation of assignors, assignees and creditors in assignment for the benefit of creditors’ proceedings and receivers in both state and district courts receivership proceedings. Day is “AV” rated by Martindale-Hubbell. 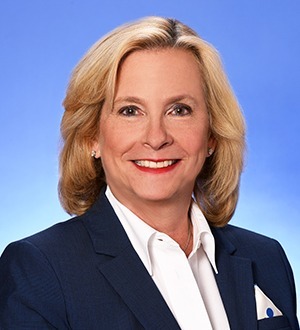 She is listed in Woodward/White’s "The Best Lawyers in America," has also been named as one of "Florida's Top 50 Female Attorneys" and a "Super Lawyer" by Florida Super Lawyers, and has been honored as A "Top Lawyer" by South Florida Legal Guide and Florida Trend. Additionally, Day is a past chair of the Florida Network of the International Women's Insolvency and Restructuring Confederation (IWIRC) and is a past president of the Bankruptcy Bar Association of the Southern District of Florida. Day currently serves as an adjunct professor at the University of Miami School of Law and formerly taught at Barry University. She has lectured for the American Bankruptcy Institute, Pincus Professional Education, National Business Institute, Lorman Education Services, Put Something Back of Miami-Dade County, The Florida Bar, and the Bankruptcy Bar Association for the Southern District of Florida. She is also a member of the Commercial Law League of America, the American Bankruptcy Institute and American Bar Association. In addition, she received the 2007 “Put Something Back” Pro Bono “Bankruptcy” Award for providing outstanding pro bono legal services or free legal assistance to the needy population of Miami-Dade County. Day is a member of The Florida Bar and is admitted to practice before the U.S. Supreme Court, the U.S. Court of Appeals for the Eleventh Circuit and the U.S. District Courts for the Middle and Southern District of Florida. She earned her juris doctor in 1984 from the University of Missouri - Kansas City School of Law and her bachelor of arts in political science and history from the University of Colorado at Boulder in 1981. Woodward/White’s "The Best Lawyers in America"